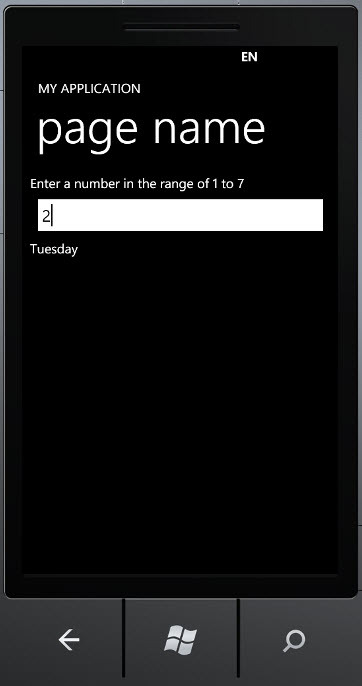 We will try to create a Windows Phone app where if you enter a number between 1 to 7, a textbox will show the weekday names. 1 is Monday and 7 is Sunday. 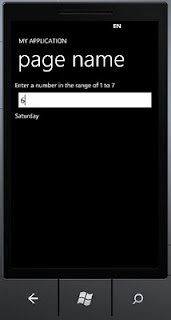 Let's take a look at the xaml first.